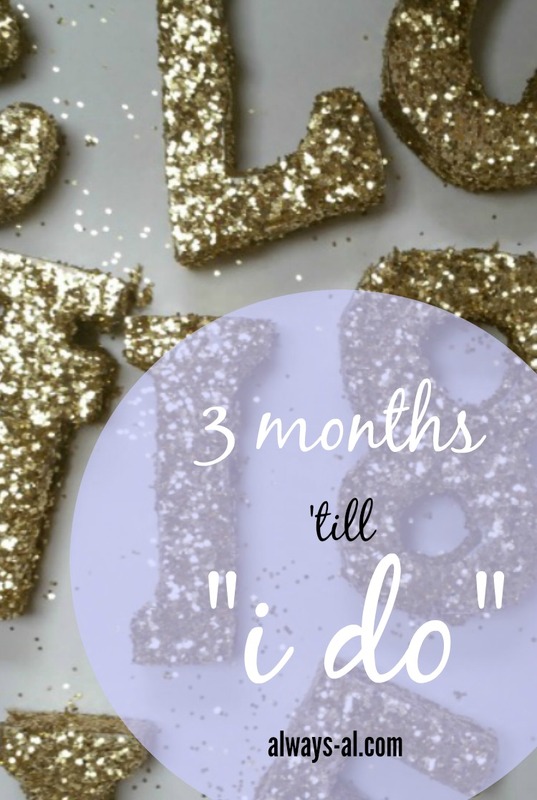 3 Months to "I Do"
Happy Wedding Wednesday, friends! I missed posting my monthly update last week, but I figured better late than never. This month has been busy, busy, busy! Me, Dave and both of our families are really working hard on all the details. I have continued to be surprised with how involved Dave is with wedding planning. Guys—he sealed all the invitation envelopes by himself. That is some groom dedication. The big project this month has been the invitations. My dad printed them out at his shop, and then Dave and I assembled, addressed and posted them. It took quite a while, but I think they turned out great. We ended up having to hand write all of the addresses, because I thought it would be cool to choose navy blue, lined outer envelopes. So I wrote all addresses with a white gel pen.